The Hambone Award honors the most unusual pet insurance claim of the year. Rooster was nominated after he was impaled by a large tree branch during a routine hiking trip. 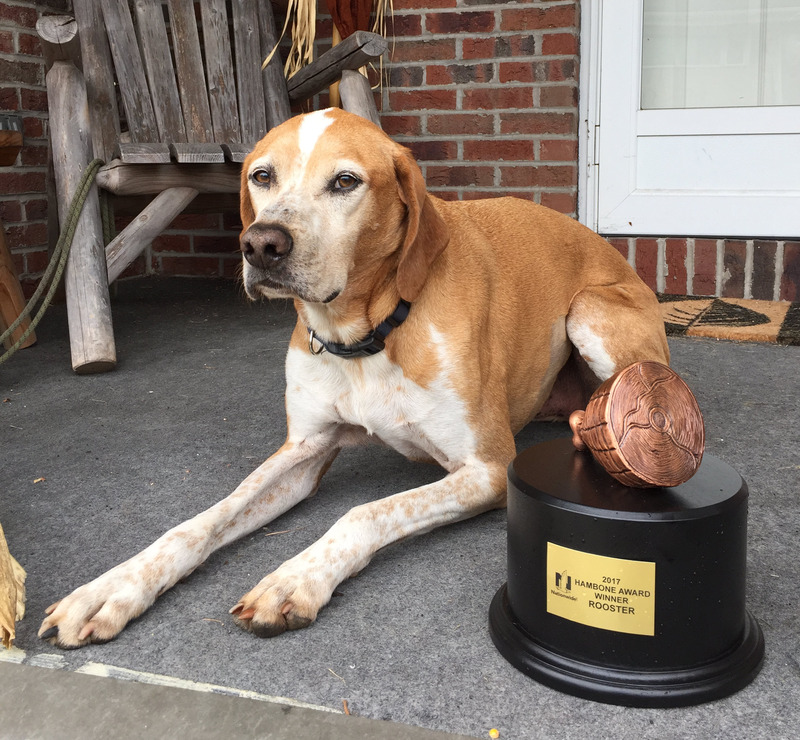 Rooster, a hound mix from Scranton, Pennsylvania, is the 2017 winner of the 9th annual Hambone Awards. The Hambone Award honors the most unusual pet insurance claim of the year. Rooster was nominated after he was impaled by a large tree branch during a routine hiking trip.